by Joseph E. Scalia. Self-published, using Goldfinch Publishing's A La Carte Services. 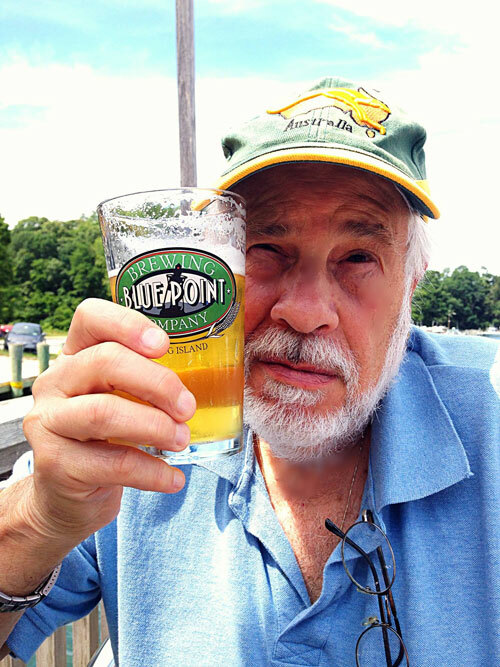 For over forty years, Joe hopped in and out of the world of fictional Rosencrantz and Guildenstern Memorial High School, drawing on his decades of teaching and dealing with the not-always-sane students, fellow teachers, and administrators to craft an epic satire/comedy about the most dysfunctional school ever. It's a mirror of all our ridiculous faults and foibles; a biting, sarcastic, laugh-out-loud funny, and thought-provoking story; and at its heart it's a sympathetic tale of the crazy people around us. All of us. Not since Bel Kaufman’s 1964 novel Up the Down Staircase has a funnier book been written about teachers and teaching.In 1971 Richard Nixon is in the White House preparing to run for a second term and Watergate is on the near horizon. Though winding down toward "peace with honor," the war in Vietnam is still in the headlines and protestors are in the streets. On Long Island, in Union Free School District 71, it is the beginning of the 1971-72 school year. At Rosencrantz and Guildenstern Memorial High School teachers, administrators and students begin counting down the days until June. First-year English teacher Jesse Tietjen has joined the faculty of R&G and discovers on day one that teaching isn’t what he expected it would be. Neither are the teachers he encounters at the endless meetings that fill his day. UFSD 71 will do for education in America what Joseph Heller’s Catch 22 did for the dysfunctional military. This dark comic novel with its assortment of bizarre characters is shocking, thought provoking… and laugh out loud funny! 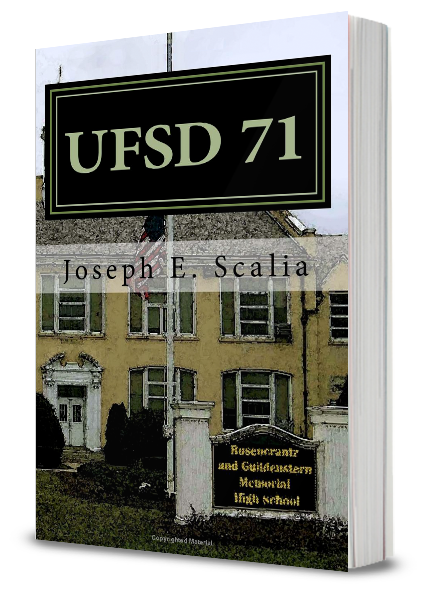 After forty-plus years of writing his magnum opus, and twenty-plus years after teaching Goldfinch Publishing's very own Rob Dircks, Joe Scalia just needed a little nudge to finish the job and get his epic satire UFSD71: A School Novel out into the world. So Joe and Rob reconnected, worked together (well mostly Joe worked and Rob humbly offered what guidance an old student might dare suggest to his junior high English teacher), and ultimately unleashed on the world a tome described as "must-read," "laugh-out-loud," and of course, "A+."